If war breaks out in Lebanon, IDF troops will cross the border, a senior officer told the Jerusalem Post, adding that the Israeli army has held a series of military drills “for war against Hezbollah” in recent weeks. Israeli Artillery Corps 282 Support Unit has been staging military exercises to train for the war against Hezbollah in the Jordan Valley for five days. 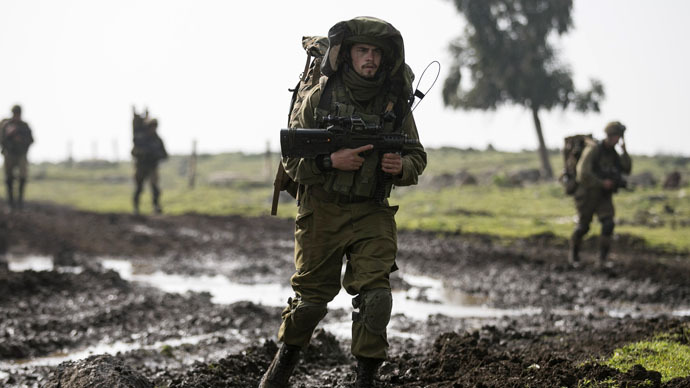 The Israeli army stages this type of exercise annually, but this year it was different, as a huge amount of military and live fire was deployed, a senior Artillery Corps officer told The Jerusalem Post. “What is special in our unit is its fusion of a variety of surface-based firepower,” he said. The unit can use cannons to hit various ground targets, employ a radar battalion that can locate an enemy and give warning of any incoming fire. All this simulated a full-scale war in the Jordan Valley, the source said. According to the IDF senior officer, this time the Israeli army kicked off with its biggest drill, while in other years the biggest military exercise has been staged at the end of the drills. The Armored Corps of the Israel Defense Forces has taken part in numerous conflicts, including the Gaza War and the recent Operation Protective Edge in summer 2014 that claimed over 2,000 Palestinian lives. “Unusually” large-scale military drills were confirmed by another IDF officer to the Jerusalem Post. “The goal this week is to increase our training, with an emphasis on reserves,” the source said, adding that IDF Technology and Logistics Branch held one of the biggest exercises which involved 240 vehicles. One more huge drill was performed by the Northern Command’s 36th reserve Armored Division, which simulated a Lebanese battleground. Israel and Lebanon technically remain in a state of war since a month-long conflict between the IDF and Hezbollah in 2006. Since the 34-day war between Israel and Hezbollah, which ended in a tenuous UN-brokered ceasefire, both sides have been sizing each other up for another possible conflict. In November, Hezbollah leader Hassan Nasrallah rejected “Israel’s threats of war on Lebanon,” saying it was fully prepared to defend the country. The conflict between the two states has also been intensified by Hezbollah’s dealings with Islamic State militants which are rampaging Syria and Iraq. The incursion of the Islamic State in the region, together with internal political problems in Syria, Lebanon’s powerful ally and Israel’s nemesis, has only heightened anxieties. Amnesty International accused Israel of war crimes during the 50-day war last summer, saying that IDF troops displayed "callous indifference" in their effort to destroy militant positions and their tunnels that lead into Israel. The Israelis in turn defended their actions, arguing that many more militants were killed than estimated, while accusing the Gazans of hiding their military assets among the civilian population. According to the Israeli report, Hezbollah has an estimated 100,000 precision-guided rockets that could – unlike the antiquated types lobbed into Israeli territory by Hamas - overwhelm Israel’s Iron Dome missile defense system.